Justice League: War, released on DVD and Blu-ray last week, is the first in DC’s new animated universe continuity (which will continue with this spring’s Son of Batman, and two new films annually following that.) Based on Geoff Johns and Jim Lee’s Justice League: Origin, the movie tells the story of the formation of the Justice League to combat an invasion by Darkseid. From the second the film opens on Batman and Green Lantern taking on one of Darkseid’s parademons, War consistently delivers an action-packed story that also manages to give us a glimpse at the humor and heart of each of the individual superheroes present. Particularly enthralling is the movie’s portrayal of Wonder Woman, whom I (as someone who, admittedly, didn’t have much prior background for the character) had no idea could be as fun as she is here. Throughout the film I found myself enjoying her sections of the story best (and there were plenty to choose from!) and even in spite of my clear preference in regard to Justice League team members, Wonder Woman may very well have been my favorite part of War. That’s not to say that Jason O’Mara did a poor job as Batman; on the contrary, he did a fine job, and I look forward to seeing his take on Son of Batman. In fact, all of the voice acting was phenomenal, though I do award particularly special credit to Michele Monaghan for breathing new life and joy into Wonder Woman, Alan Tudyk for showing us a different side of Superman, and Justin Kirk for his scene-stealing and show-stopping work as Green Lantern. 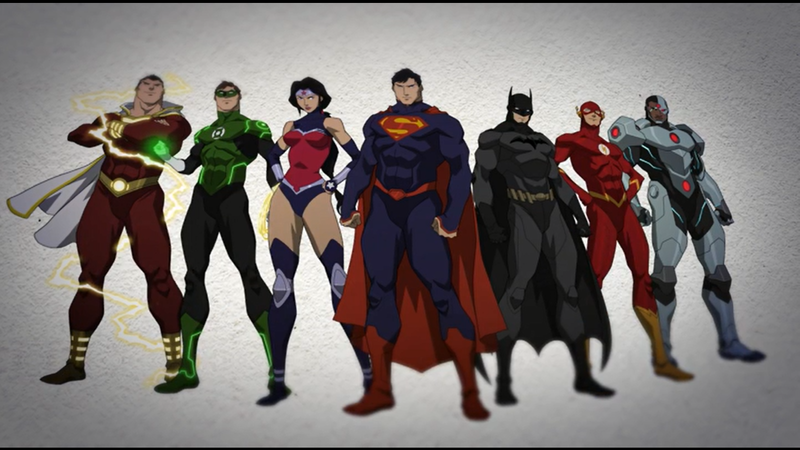 Justice League: War truly is a class act, which is certainly fitting as it is a Justice League movie, after all. It’s an excellent jumping-off point for the rest of DC’s animated films going forward (no surprise, really, given that the comic it’s based off kickstarted the New 52 a few years back), and altogether simply a great superhero story. ← Batman Arkham Origins: Blackgate Coming to Consoles?